With the new year comes new changes, and one of the hottest items on the docket is the push to universally legalize marijuana. No longer the stuff of low-brow stoner movies, cannabis is enjoying a cultural rebranding, going from burnout to bougie as taboos around weed evaporate and mainstream interest in grows. According to weed advocacy site Greenwave, the budding — no pun intended — marijuana industry could be worth $35 billion by 2020, if decriminalized on a federal level. Good for the economy, good for the people: a complete win-win. In the early 2000s, popular TV series Weeds showed up on the scene to market marijuana as something even suburban white ladies could handle. Since then, it has experienced an even bigger upgrade, holding court everywhere from our medicine cabinets to our closets, in the form of beauty products and haute couture. At NYFW 2016, Alexander Wang sent a whole collection of weed-inspired pieces down the runway, elevating pot leaf-emblazoned apparel from Hot Topic to heritage piece. The standout? A black and white leaf-printed skirt paired with a black mesh top with "strict" across the chest. Naturally, many other designers followed suit. From a gold weed grinder necklace by Parisian envelope-pushers VETEMENTS to a vintage-style, ultra femme clutch spelling "Weed" by celebrated purse designer Edie Parker, what used to be discretely hidden now boasts a spot on the top shelf. No longer the stuff of hand-mixed hippie products sold at your local co-op, cannabis is actually a widespread and beneficial component of many top-performing beauty products on the market today. In addition to health store standbys like Hempz, upscale beauty brands are busy taking a cut of the cannabis now more than ever, and for good reason: skin-loving, anti-inflammatory hemp oil is a superior non-comedogenic moisturizer that has been shown to encourage cell turnover, which helps heal skin problems and imparts a healthy glow. Lord Jones, upscale purveyor of cannabis infused products, including chocolate and body lotions, can now be found in the rooms of the Standard Hotel. Ardency Inn’s Modster Big Instant Lash Enhancing mascara features hemp protein, which instantly adds volume and encourages keratin production. Even mainstream retailers have jumped on the bandwagon, with The Body Shop releasing the best-selling Hemp Hand Protector, made with cold-pressed hemp oil, a lotion so popular that, according to Allure, a tube is sold every nine seconds. Medical cannabis brand Whoopi & Maya — yes, that Whoopi — offers a decadent line of pot-infused body care products, including the star product, a PMS/menstrual relief bath soak. And perhaps for the first time, it’s cool to smell like weed — from Fresh’s cult-favorite Cannabis Santal to Malin + Goetz’s Cannabis Perfume Oil, you don’t have to smoke pot to reap its mood-boosting benefits. On the brick and mortar side, dispensaries have rebranded themselves as veritable boutiques, carrying a full range of products necessary to meet every cannabis-focused need. 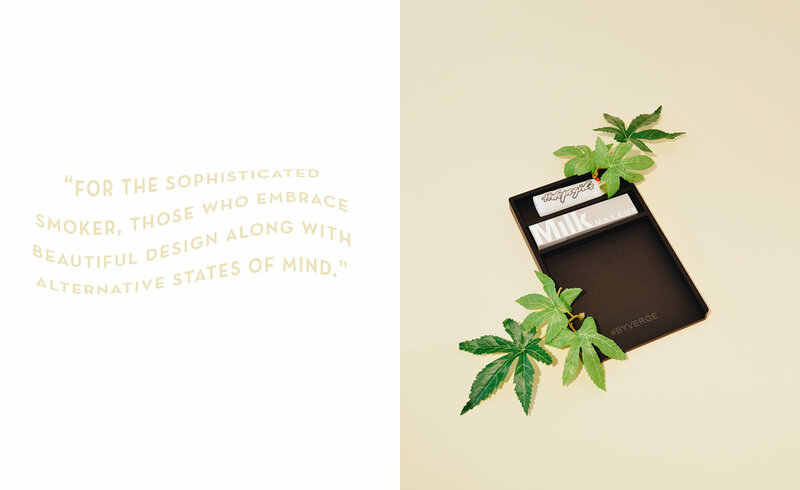 Toronto-based lifestyle brand Tokyo Smoke, in addition to their smokable and edible product, offers a range of fragrances, clothing, and even bespoke coffee “for the sophisticated smoker, those who embrace beautiful design along with alternative states of mind.” The smoke session, in very 2018 language, is now well-curated — and should be nothing less. As marijuana becomes a mainstay in mainstream culture, new brands and products popping up every day remind us of the changing attitudes toward this magical, medicinal, and marketable plant. Now a far cry from just getting high, marijuana keeps us happy, healthy, and well-dressed — and what could be more beautiful than that?